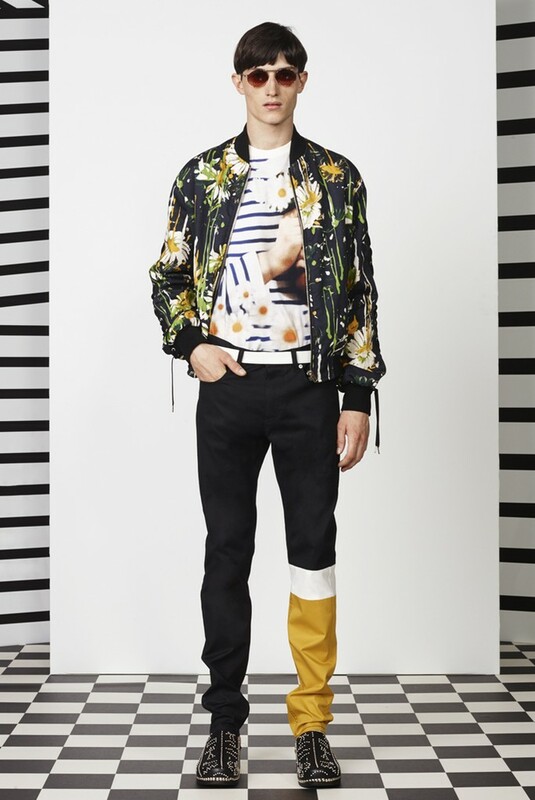 The Barbara Tfank Resort 2015 Collection pays homage to David Bailey’s bright ’60s photographs. Other David Bailey-inspired collections : Dolce & Gabbana Autumn/Winter 2005-2006 (the mood board of this show featured David Bailey’s images of Jean Shrimpton, taken for « Vogue », between 1961 and 1964), Gucci by Frida Giannini Spring/Summer 2011 (David Bailey was one of the references of this collection), Jean-Pierre Braganza Spring/Summer 2014 (the makeup of this show, by Terry Barber for M.A.C, was based on a « wannabe model who’s going to see David Bailey. »), J.Crew Autumn/Winter 2013-2014 Menswear (for this collection, Frank Muytjens was inspired by David Bailey’s pictures of Michael Caine in the ’60s), Temperley London Pre-Fall 2010 (this collection showcased lush loungewear which evoked David Bailey’s early ’70s photographs of Anjelica Huston), Trussardi by Milan Vukmirovic Spring/Summer 2011 (for this collection, Milan Vukmirovic drew inspiration from David Bailey’s photographs of Marie Helvin in Tahiti). The Maarten van der Horst Spring/Summer 2012 Collection, presented as part of Fashion East, was unveiled against the backdrop of Frank Stella’s 1974 painting « Letter on the Blind II / Lettre sur les aveugles II ». Some Frank Stella-inspired collections : Katherine Fleming Spring/Summer 2009 (this line of bags was partly based on Frank Stella’s artworks), Missoni Resort 2015 (Frank Stella is one of the painters who are referenced in this collection).